Java Server Page (JSP) is a technology developed by Sun Microsystems, back in 1999, and is intended for creating dynamically generated web pages. When a page is dynamic, it continually updates the information, at the same time the web page is being displayed to the client. Using JSP technology, it allows the web designers and developers to easily maintain and develop the web page content. The JSP technology uses tags like HTML/XML and Java script-lets, that encapsulate the logic generating the contents for the page. When a user requests for a site with a JSP technology, the server looks at the extension .jsp, and then it passes this request to the JSP engine. The JSP engine then will interpret those tags, and process the contents of that page. Then it will send back the results and display it in the form of an HTML/XML page. As the display and design in JSP is separated from the page logic, the whole page layout can be changed without touching the core dynamic content. JSP is a member of the Java technology family. Java server pages are compiled into Java ‘servlets’. It may call beans and enterprise beans, such as Java Beans components and Enterprise Java Beans components, to execute processing on the server. So, having such JSP technology could be a key component in high-level architecture for web-based applications. Another benefit for developers, is that Java servlets are platform-independent. This means that they can support any part of the system that they demand. JSP pages are also server-independent, therefore, they can be implemented to different web servers. It is basically designed for this purpose – to be an open-standard technology in web applications, and, of course, for the ease of use. HTML is a popular and easy to use web language, and this is probably why it is most compatible with JSP technology. HTML is the basic form of JSP page. In order for JSP technology to work, it uses the HTML-like tags. So, in order to use JSP technology, you also have to be familiar with HTML. JSP is a technology used for creating dynamically generated web pages. The result of the page, with JSP technology, is mostly in an HTML form if it uses HTML tags. So, it is likely that HTML is an instrument of JSP technology to make it work. 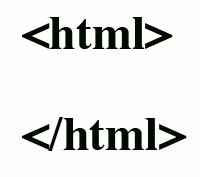 In order to use JSP for your web page, you must also be familiar with HTML. Ian F. "Difference Between JSP and HTML." DifferenceBetween.net. June 5, 2018 < http://www.differencebetween.net/technology/difference-between-jsp-and-html/ >. The difference points are very clear to readers. That gives us clear idea.